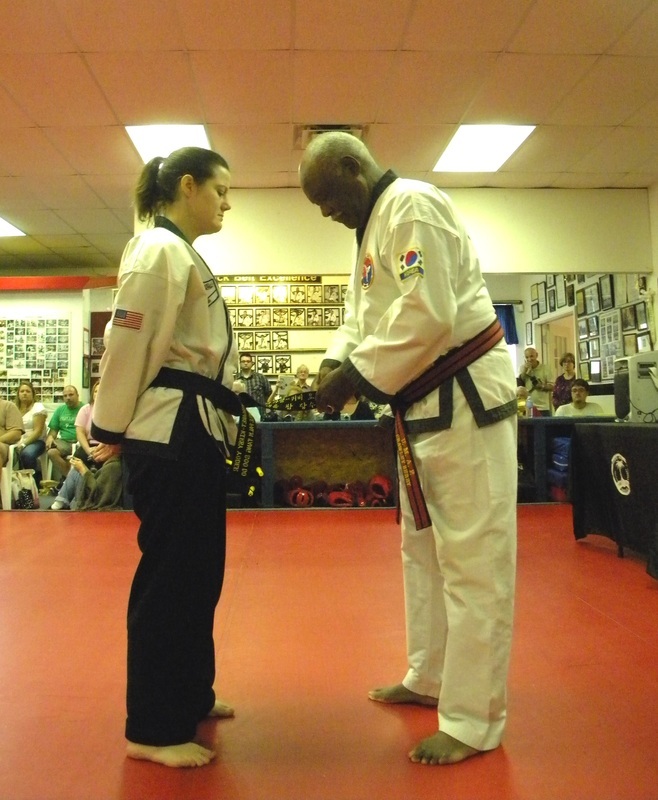 It was a great day for a test on Saturday and all our Black Belts showed where all their focus and perseverance brought them. 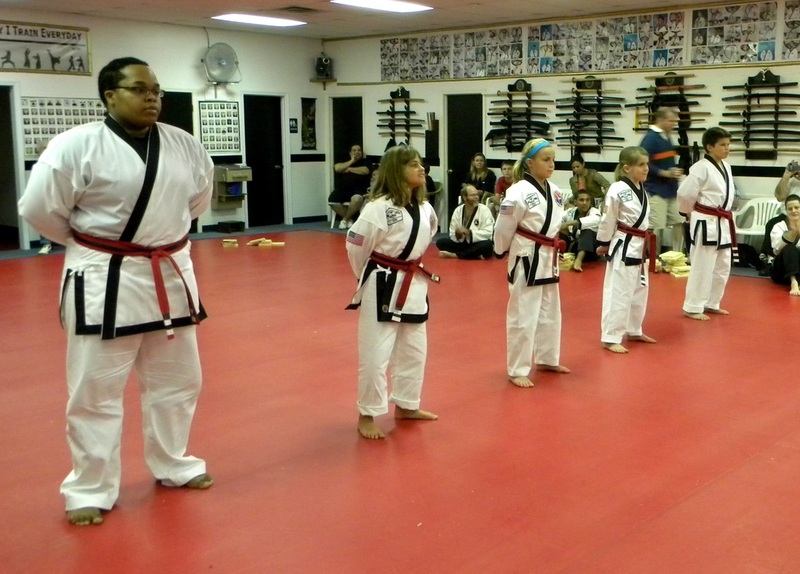 Everyone brought their A-Game and it was a magnificent showing. 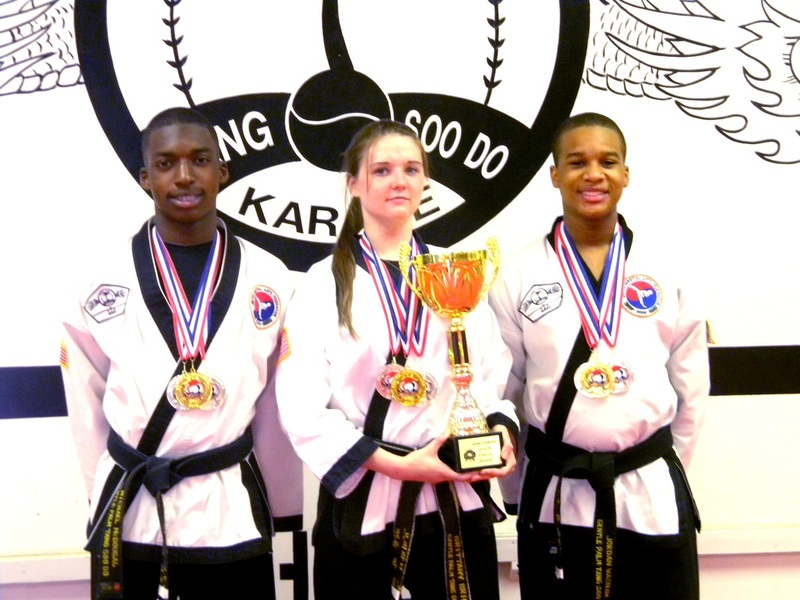 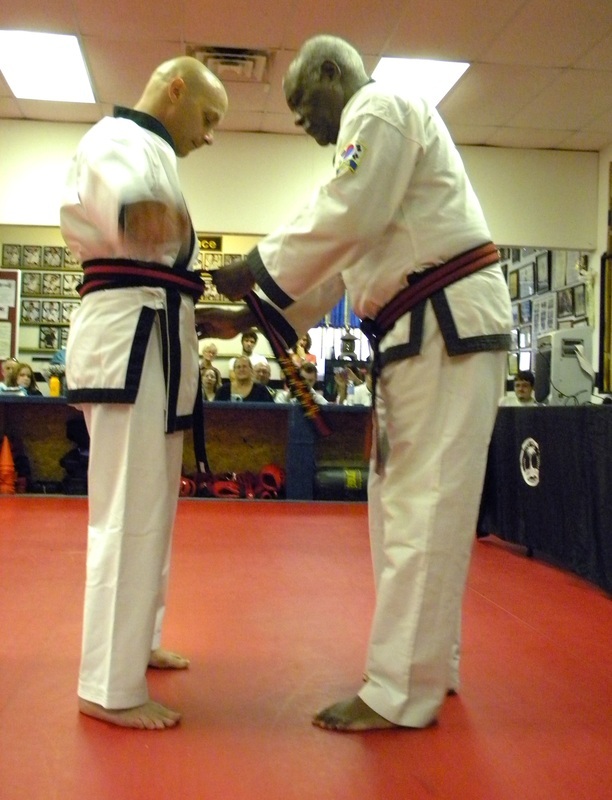 This was our first Tang Soo Do Master Test held here at our school and our two new masters gave an impressive performance. 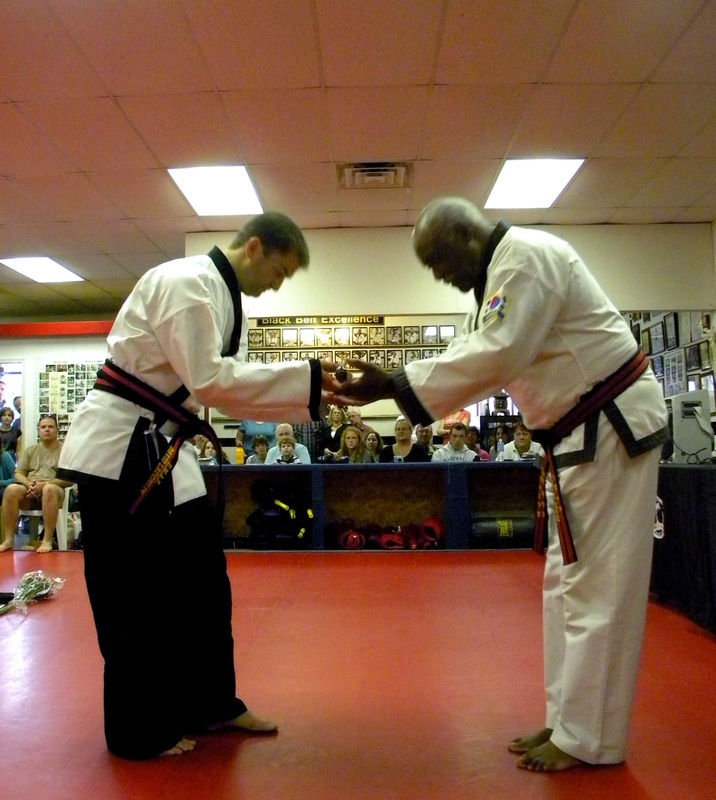 We would like to thank all the Black Belts, from Gentle Palm and Top Notch who helped conduct the test and participated in the performances and a special thanks to Master David Colasante, Master Mark Brandson , Master Pete Kirtses and Master Eugene McClone. 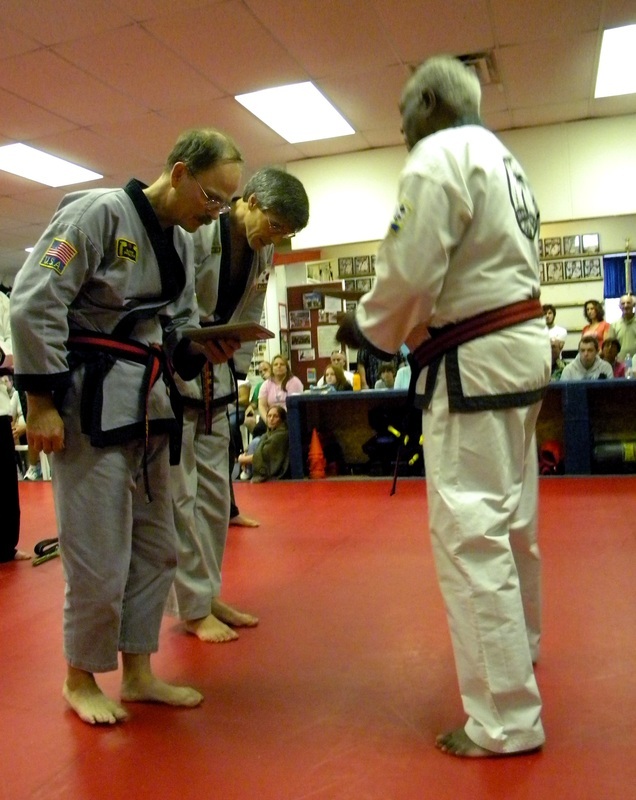 "The Gentle Palm Haidong Gumdo Demo Team did an outstanding job on Saturday, September 8th at the New Castle County Police sponsored Public Safety Awareness Day. The Demo team looked sharp in their opening warm up and continued to lead by example. 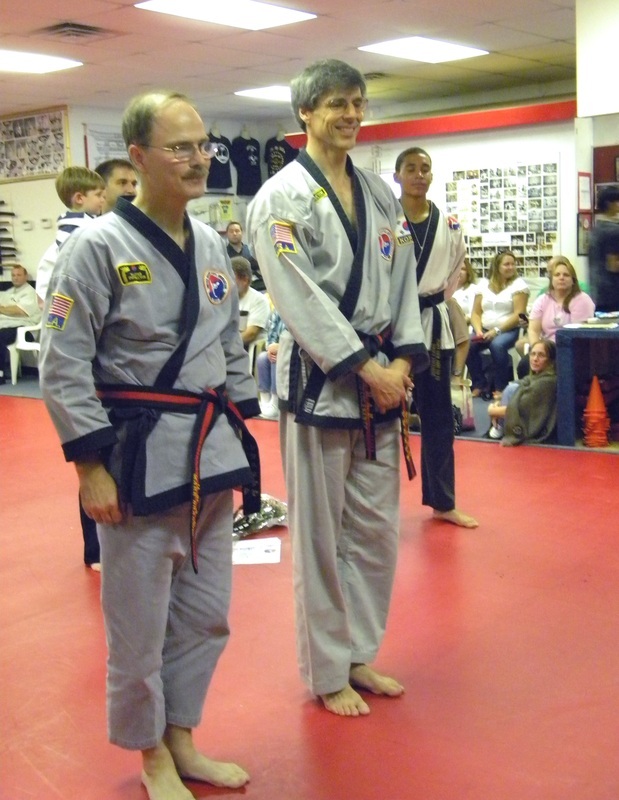 Mr. Mike Ashmore (1st Dan Black Belt), Christian (CJ) Llagas (Red Belt), and Patrick Canning (Green Belt) performed Ssang Su Gumbup #3 and #2, doing an exceptional performance of both forms! 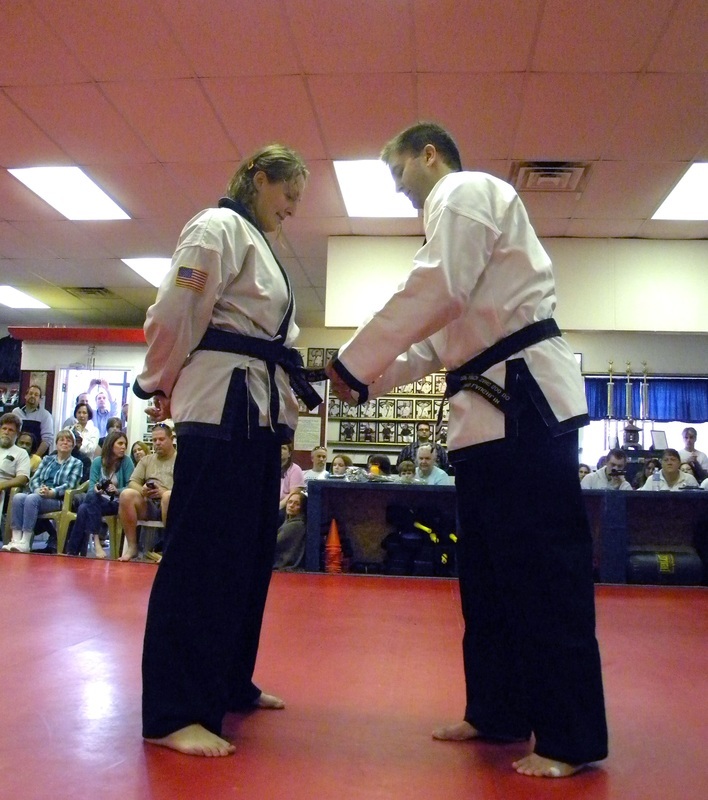 Evelyn Lucas (1st Dan Black Belt) and Anthony Butler (1st Dan Black Belt) performed a combination of a self-defense skit and Ssang Su Gumbup #8 and #9 which looked fantastic! 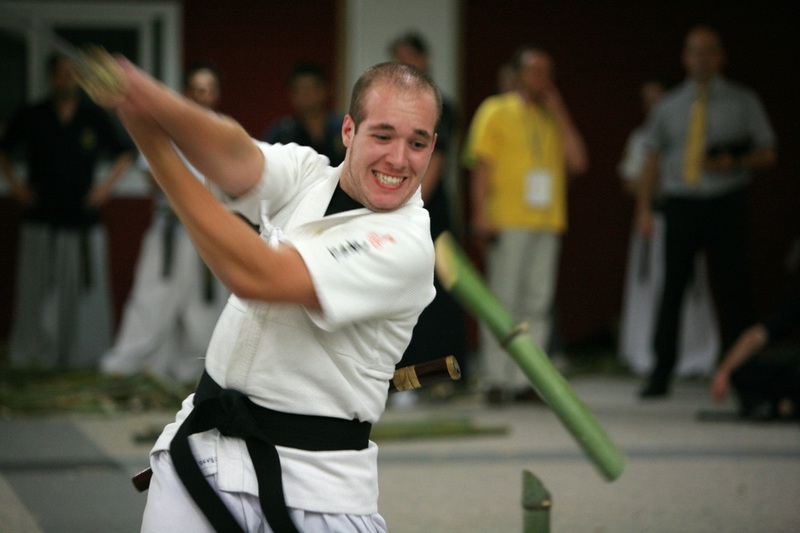 Shane Ross (2nd Dan Black Belt) concluded the demonstration with a combination of Ssang Su #8, Yedo #4, and bamboo cutting which looked spectacular! 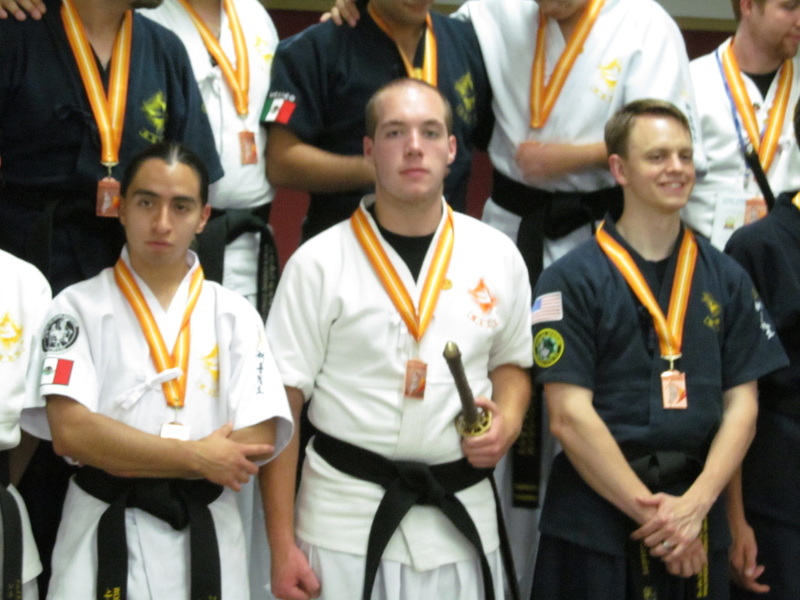 Congratulations to all the members of the Haidong Gumdo Demo team for once again doing their best, and continuing to lead by example!" 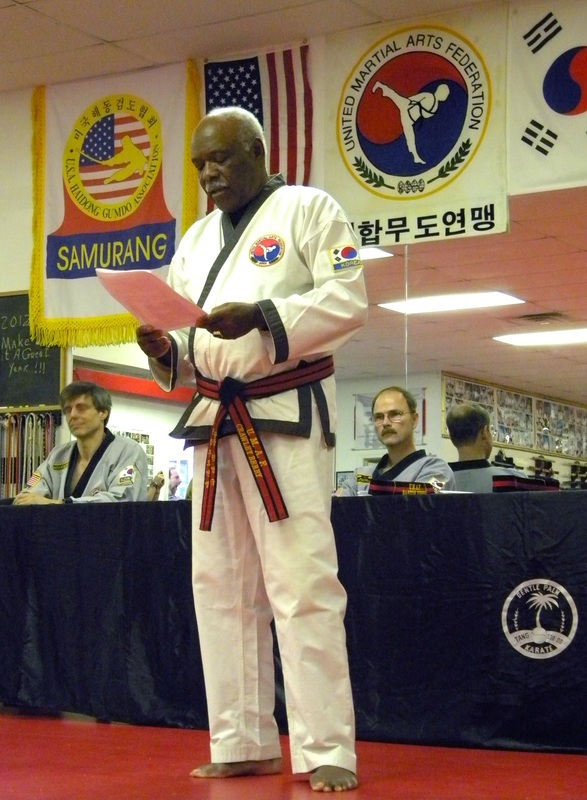 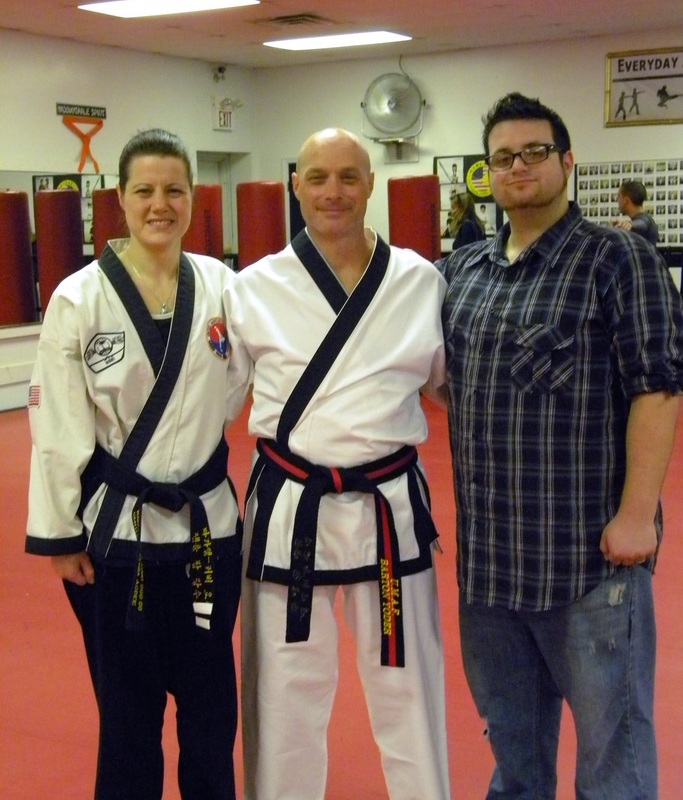 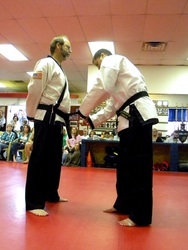 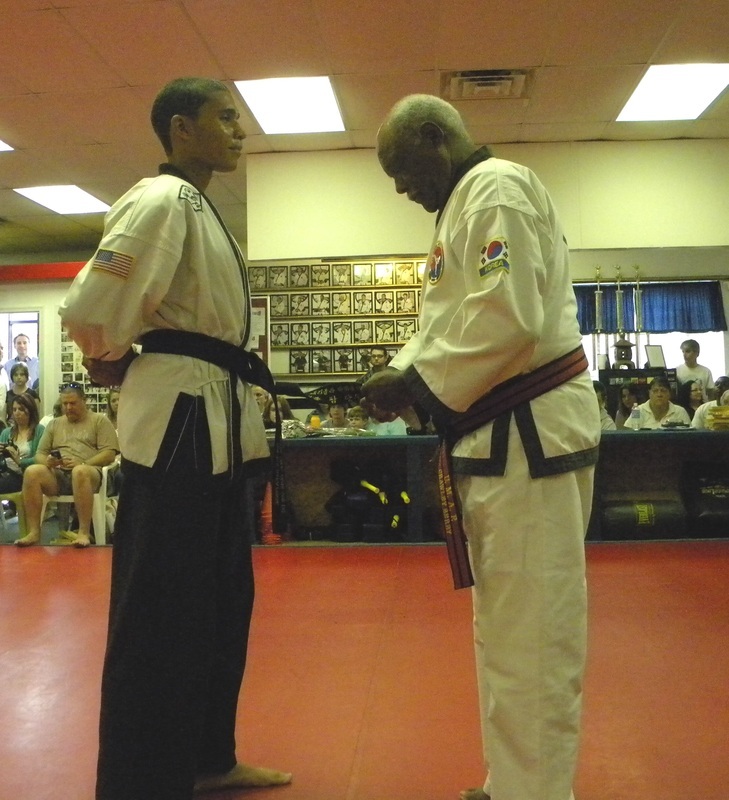 On September 6, 2012, we conducted our semi-annual pre-Black Belt test, and started a tradition that should have been started years ago. 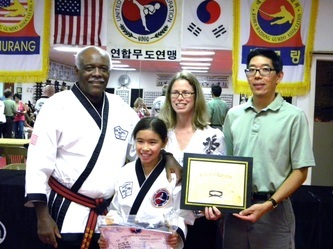 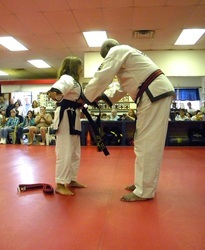 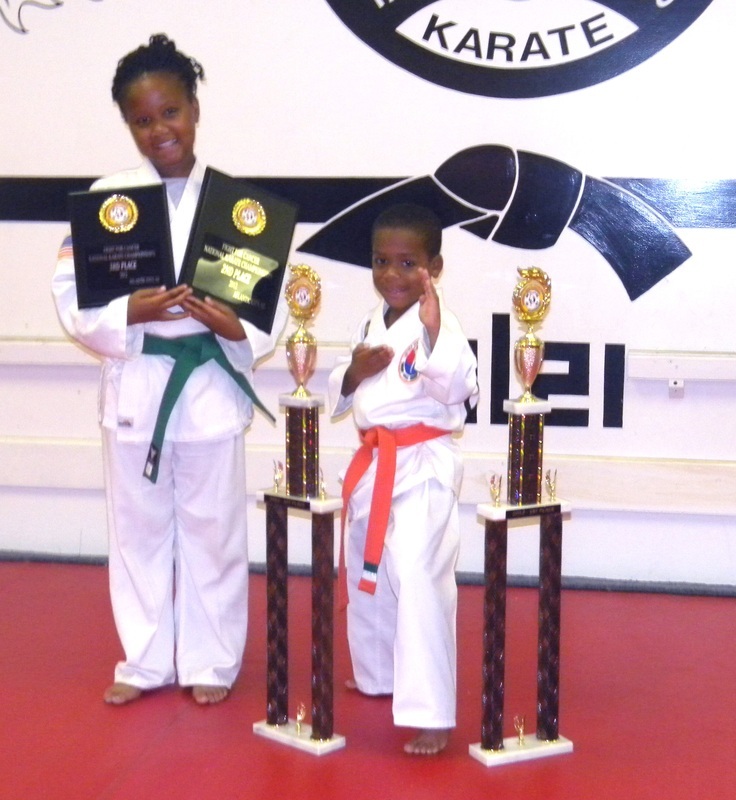 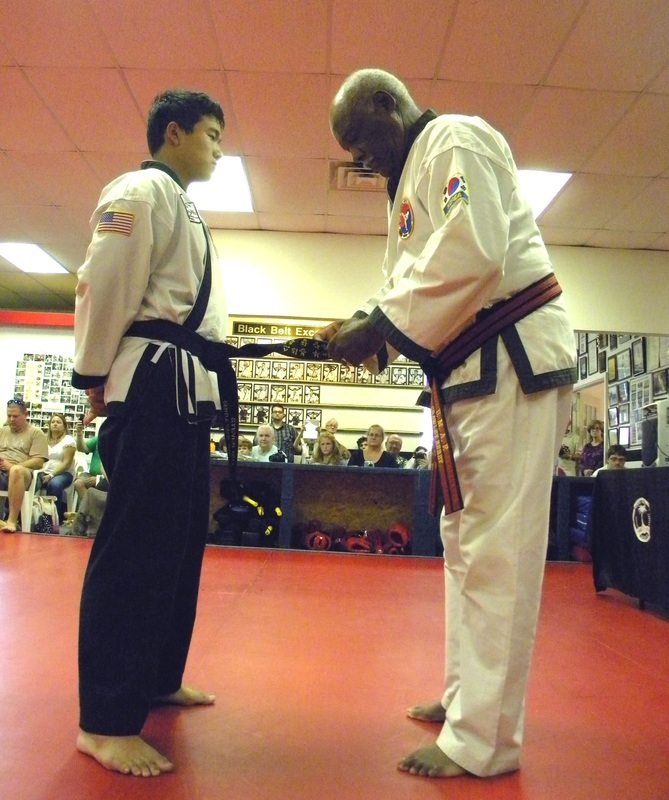 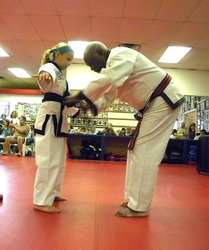 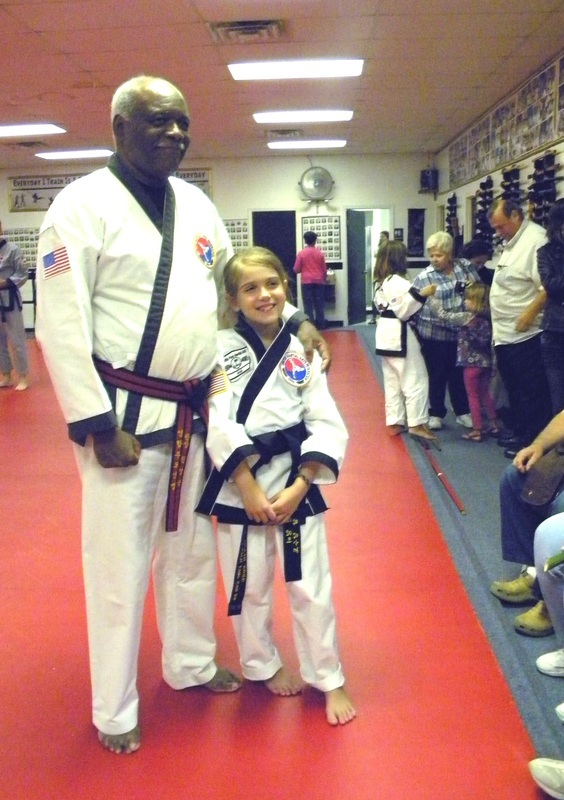 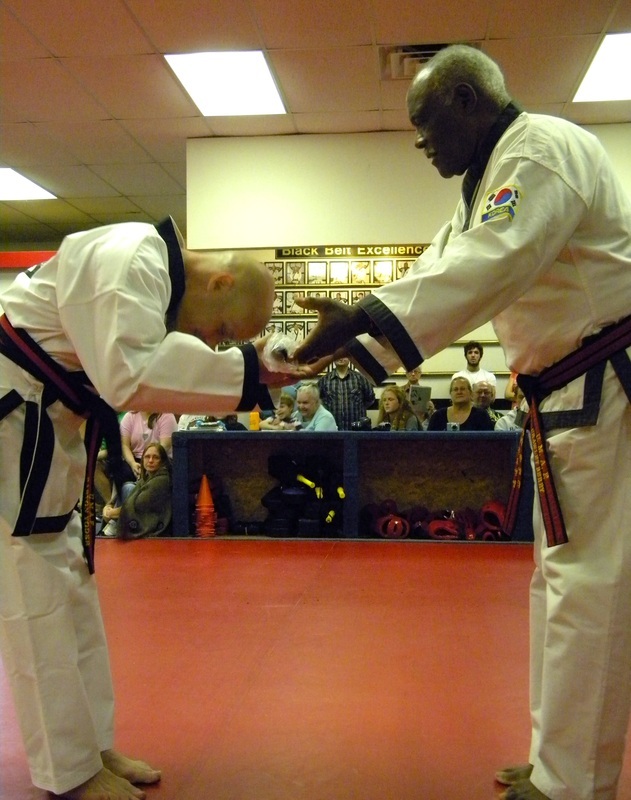 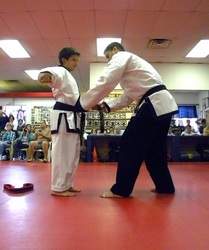 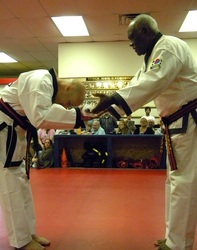 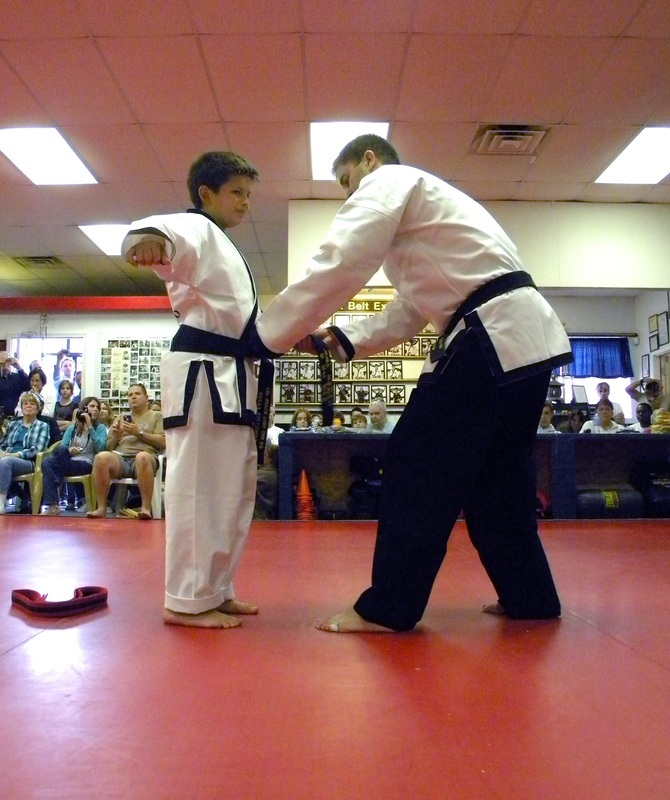 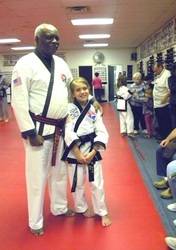 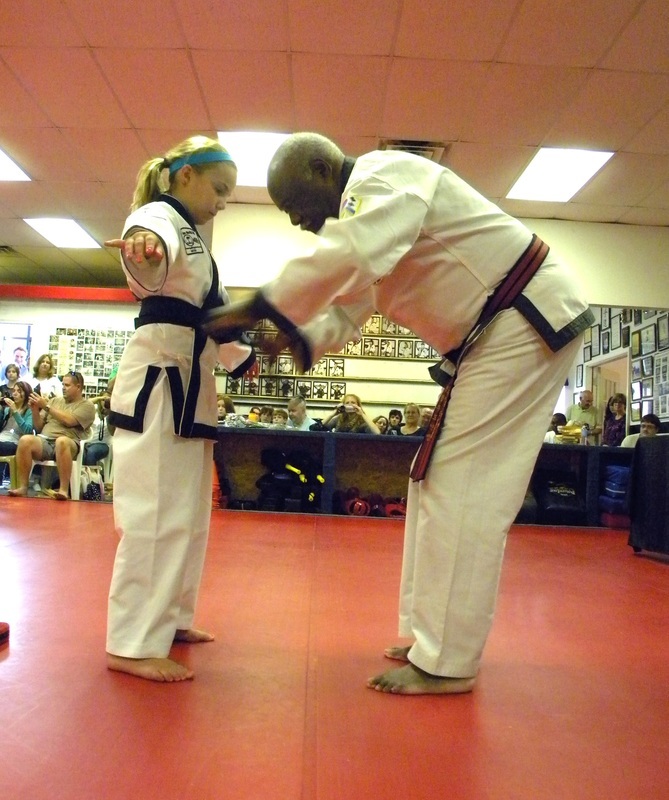 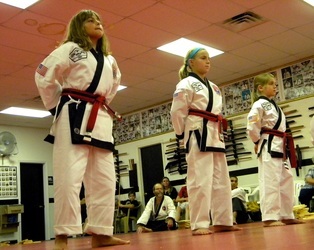 I have always felt that parents do an amazing job in helping their children achieve the goal of Black Belt. After over 3 or more years of sacrificing time and commitment to take classes, they have in their own way taught their child how to achieve their goals. 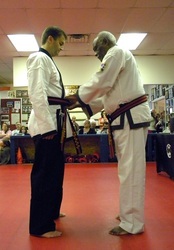 Like many times in life there will be peaks and valleys, and highs and lows. To stay strong during the lows until the highs, and to stay the course and not give up, this is one of life’s test. Parents know this is one the lessons that needs to be learned by their children. 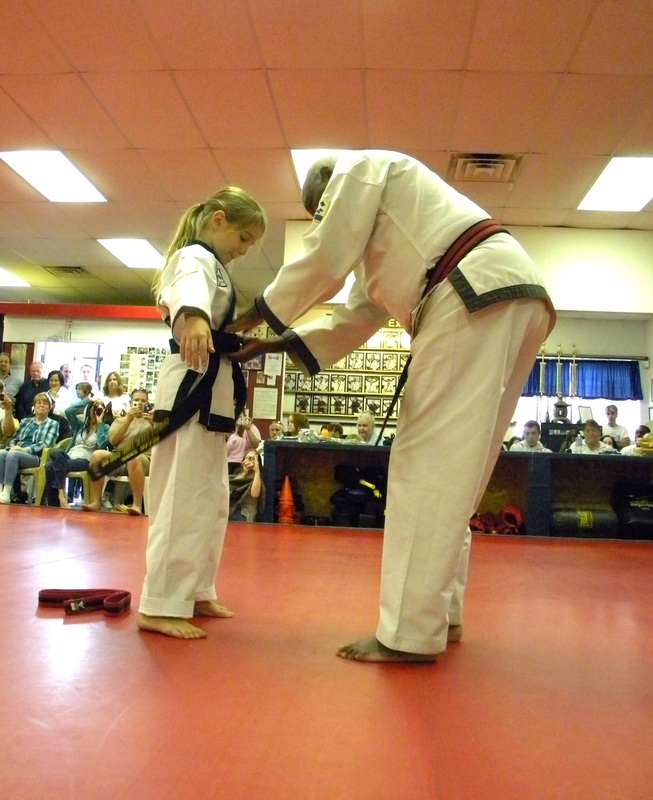 In all my years in martial arts, I have never seen any parent acknowledged for their commitment to help in achievement by any Martial Art system. I felt it was time to show parents and those responsible how I personally appreciate their loyalty and dedication. 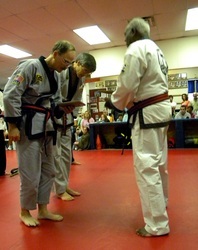 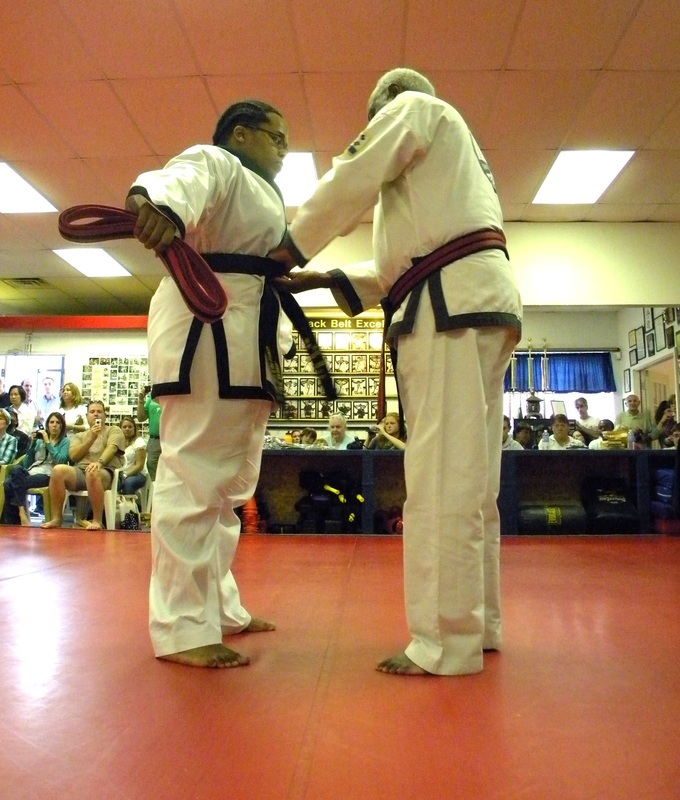 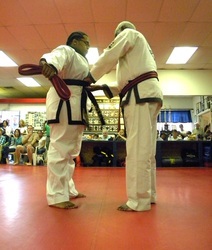 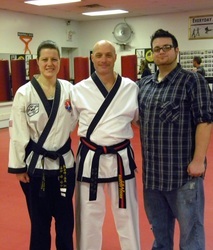 “Black Belts in Support” at the Gentle Palm Martial Arts. 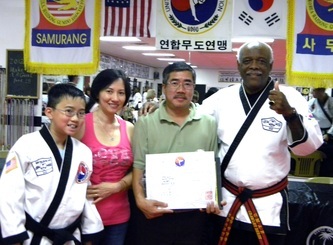 This certificate will be presented to them at the 1st degree ceremony of their child. 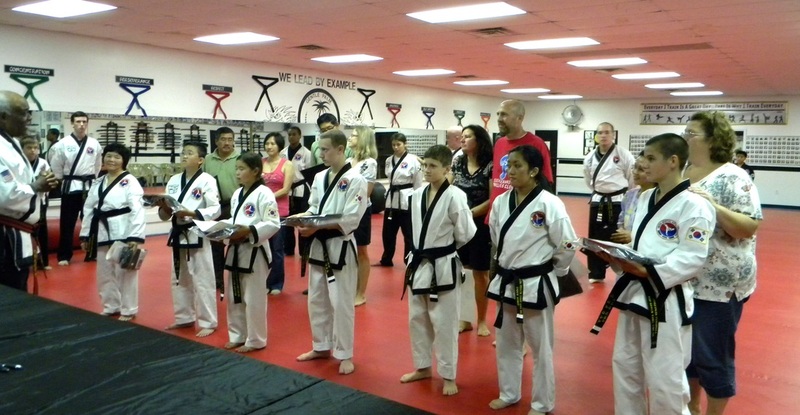 Master Berry Congratulating New Black Belts and proud parents.